Search for the hashtag #Canada on Instagram and you’ll more than likely see pictures of influencers posing in a canoe along the milky turquoise waters of Lake Louise in Alberta. And perched just to the side of that incredible, photo-worthy lake, is the classic Fairmont Lake Louise. 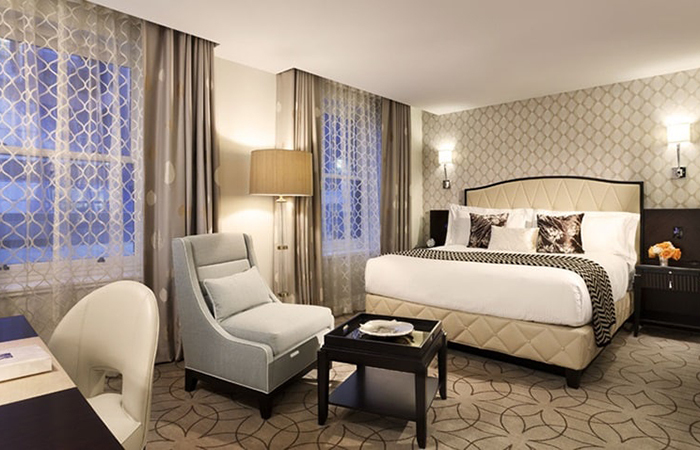 Picture-perfect views come along with this hotel, but it’s not just the setting that makes Canadians and visitors absolutely LOVE this hotel–it’s the traditional, ever-so-Canadian vibe that Fairmont hotels bring that really makes it iconic. 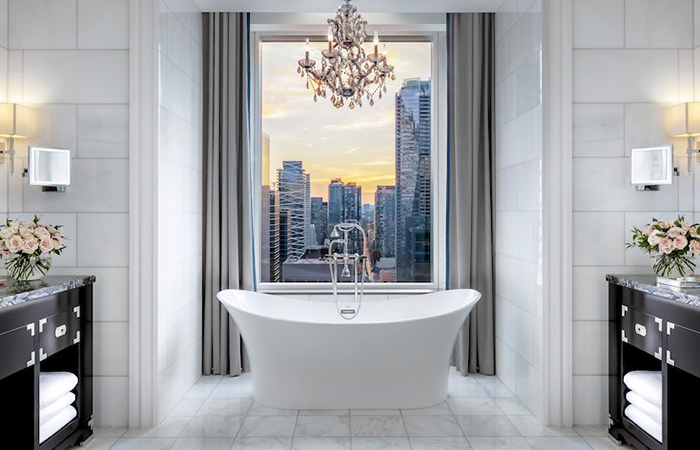 It may have just recently opened, but the St. Regis in Toronto is definitely set to be one of the most iconic hotels in the country. The only St. Regis in Canada, the incredibly luxurious and high-end brand has brought a new level of affluence to travel and to the city it now calls home. From the opulent main lobby, to the fine dining at Louix Louis to the pure bliss at the spa, the St. Regis is truly redefining what travel means in Canada and has a candor for luxury that once you experience it, it will be so, SO hard to go back to anything without butler service. 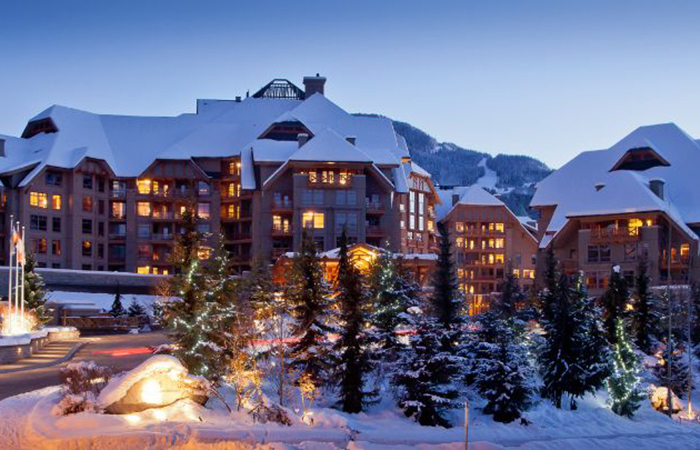 You can’t get more ‘ski town’ than Whistler in Canada, and the Four Seasons is the perfect place to stay to experience, explore and ski the amazing backdrop of mountains. This hotel, right at the foot of the Whistler and Blackcomb mountains, bring European ski village appeal–it’s a big property for sure, but the nooks and crannies make it feel far more intimate than it should for its size. Laced with history, this city hotel in downtown Winnipeg not only offers up luxury stays, but a good dose of Canadiana at the same time. This century-old building is one of the city’s most recognizable landmarks and it prides itself on having a bit of local charm to its luxurious 240 rooms (in some cases, in the form of the friendly ghosts that are said to occupy the halls). So if you’re up for some historical references with your ultra comfy bed, and possible a visit from a past presence, you can’t go wrong with this iconic hotel. 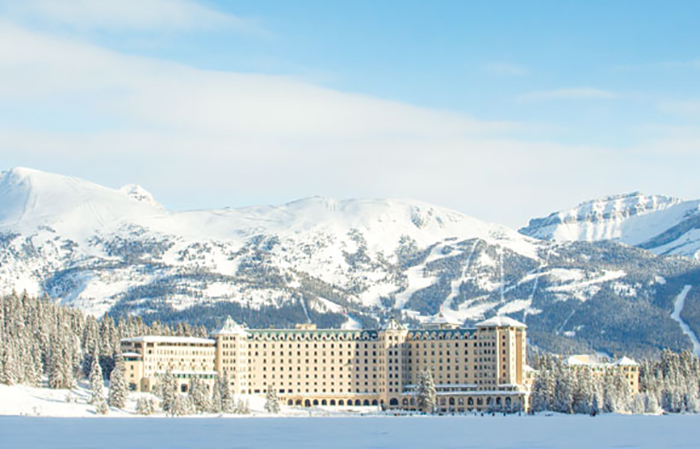 There’s a reason why Fairmont hotels seem to always top the list of best places to stay in Canada. 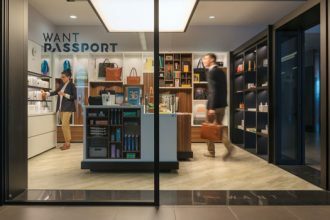 The brand is Canadian and each hotel has that quintessential Canadiana feel–they’re grand without being over the top, they embrace their settings (natural woods, big windows to see the great outdoors Canada is known for) and they come with service that is also tops. 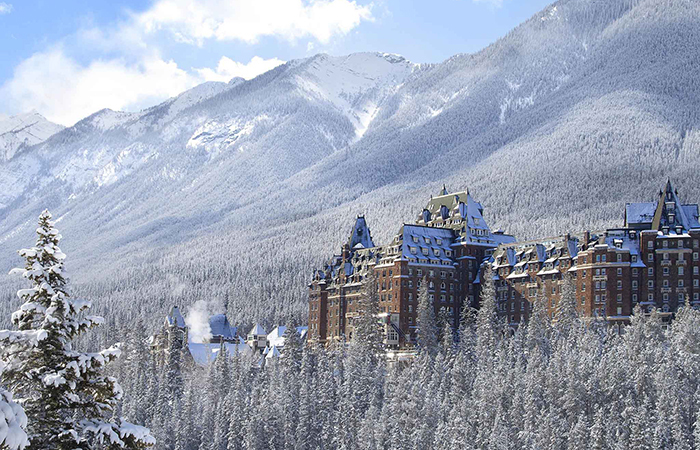 And the Fairmont Banff Springs does not fall short on any of those things. One of the most popular ski destinations in the country helps make this hotel famous, but so does the fact that it looks like a giant castle in the clouds (swing by Surprise Corner to get a view of this majestic building in the trees). 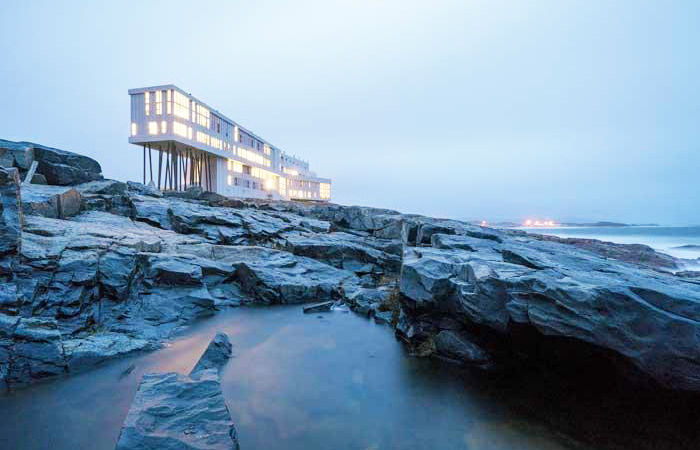 For many people travelling in Canada, this architectural wonder on the rugged eastern coastline of Newfoundland is a bucket list hotel. Ever since it opened its doors it has been on list after list of top spots to visit in Canada. Celebrities and every day travellers have slept in these rooms with views of the Atlantic (it even has Gwyneth Paltrow’s seal of approval). Aside from marvelling in how this incredible hotel is built, you can also get a feel for what makes Newfoundland so special–forage along the rocks and the coast, breathe in the saltiest Atlantic air, stargaze at night, and visit with locals. 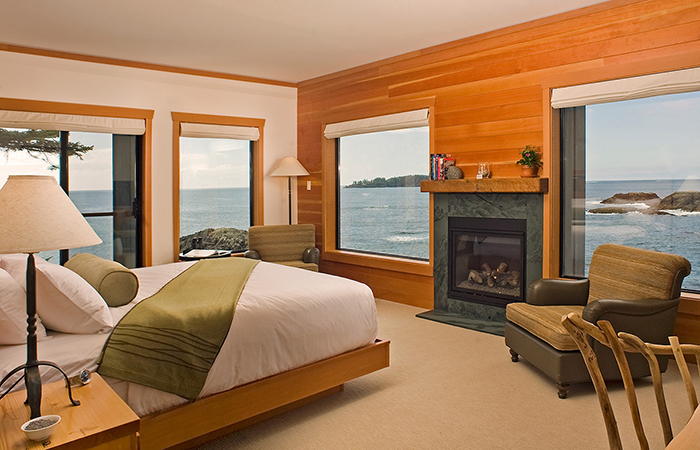 When we think of Tofino, we think of the Wickaninnish Inn. They go hand in hand. This inn along the coastline of Vancouver Island is a prime spot to truly veg out, relax, and get in touch with nature. 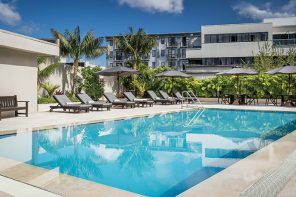 Watch storms roll across the Pacific Ocean waves from your room, take up surfing lessons, bike or stroll along the beach and dine on local flavours. If you’re going to go that far west, it’s a worthy stop for a few days. This gorgeous building in the heart of downtown Vancouver got its start in the 1920s, opening up as the Hotel Georgia for the swish travel set looking for an opulent hideaway. 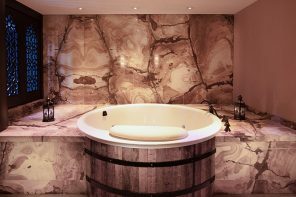 In 2011 it went under a major overhaul to modernize the hotel, and then fell under the Rosewood Hotel brand, keeping with the 5-star luxury vibe. 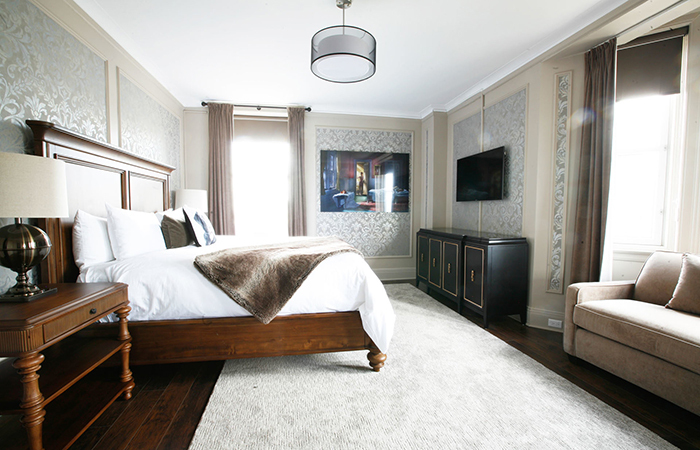 It still has the roaring ‘20s feeling to it, with the grandeur and glitz you’d expect from an elegant 5-star property, which is kind of the perfect balance to an otherwise very chill city like Vancouver. Location, location, location… what makes this east coast hideaway so iconic is the incredible setting it calls home. 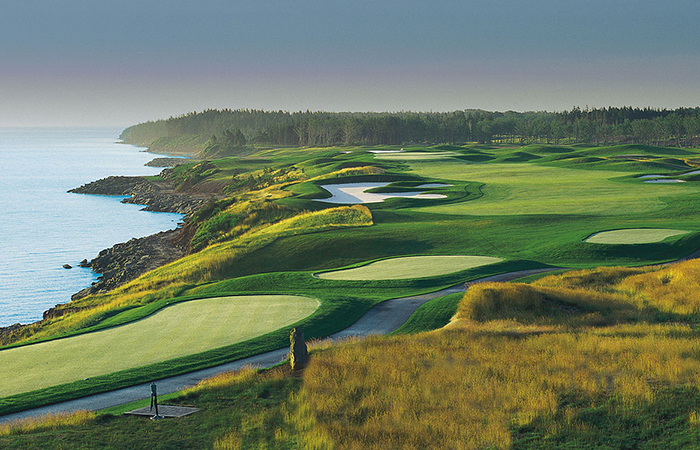 With a giant golf course on site, rolling green hills and a beautiful view of the coast, this gem in Nova Scotia has been climbing the lists for best places to stay not just on the east coast, but also in Canada. And aside from the setting, the hotel is comfortable luxury, nothing too pretentious and full of that east coast charm. 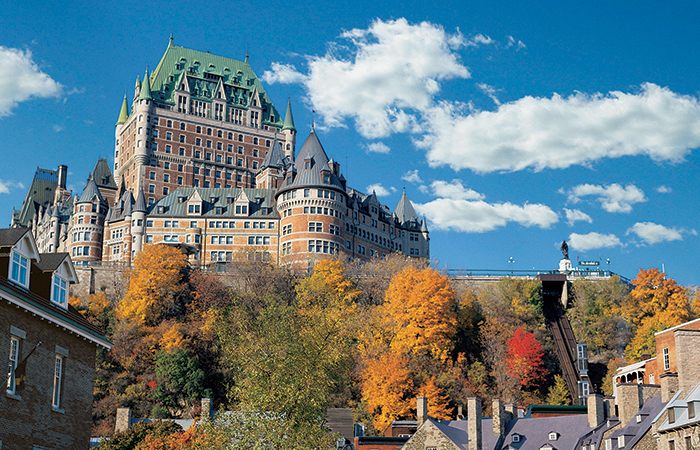 In all of the Fairmont collection, of which so many are iconically Canadian, the Fairmont Frontenac in Quebec City has to be at the top of them all. When the tagline to staying at the hotel is “stay in a castle” you know that it’s going to be grand, elegant, whimsical and breathtaking. It’s probably one of the most photographed hotels in the country too, sitting atop a hillside overlooking the cobbled streets of the old town. It’s welcomed guests from local celebrities, dignitaries and even royalty like Queen Elizabeth.